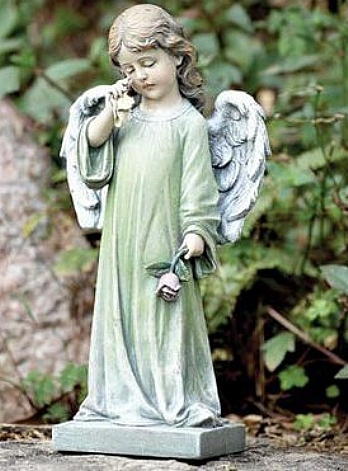 One of our memorial angels for the garden, this little angel girl appears to be filled with pain. She is holding a little rose in one hand but she can't seem to find her way and needs someone to guide her along. Dimensions: 12"H x 4" x 4"